hd00:42Colorful powder. 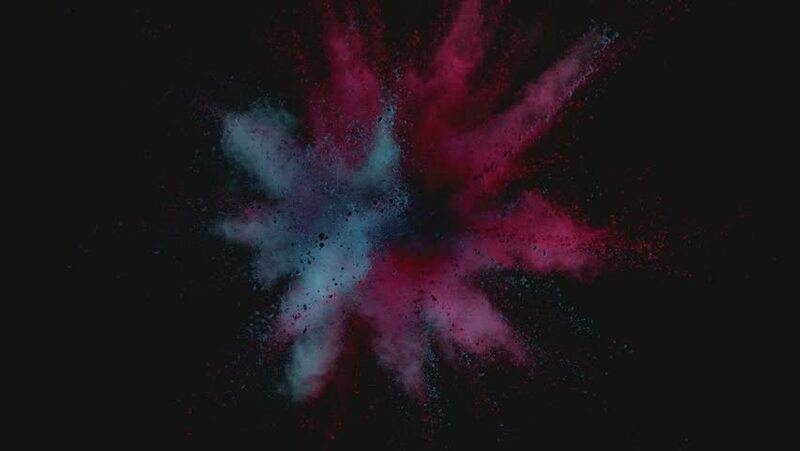 red powder, blue powder,Powder exploding against black background. Shot with high speed camera, Slow Motion. hd00:29High quality motion animation, consisting on bright, vibrant, neon colored explosions of particles, generated on a black background. hd00:18High quality motion animation, consisting on bright, vibrant, neon colored explosions of particles, generated on a black background. sd00:30PAL - Motion 705: Abstract organic light forms rotate and flow (Loop).